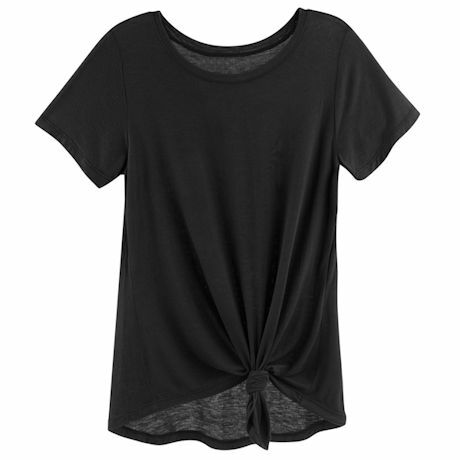 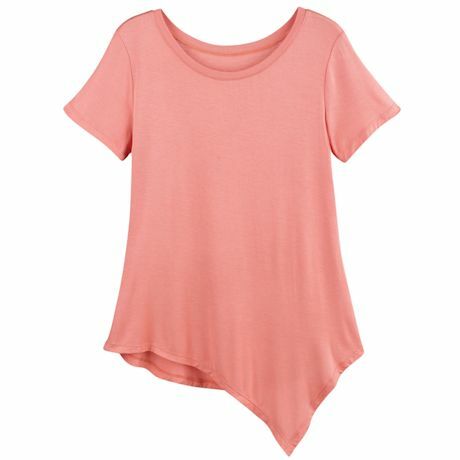 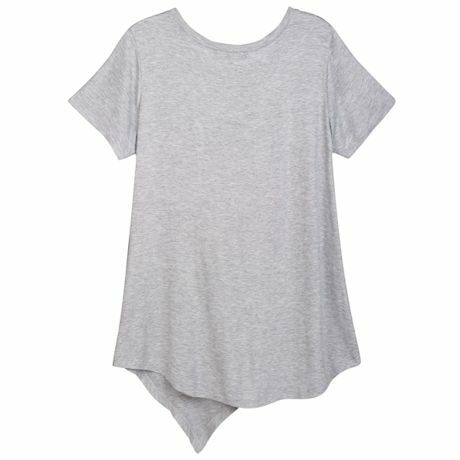 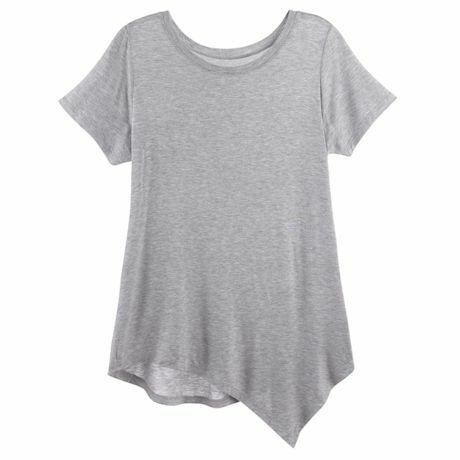 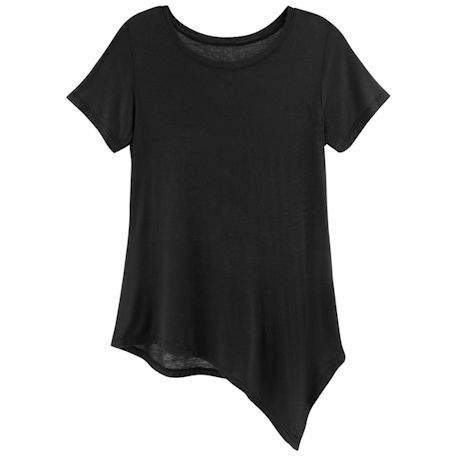 Get the tee that could become your favorite top in your closet. 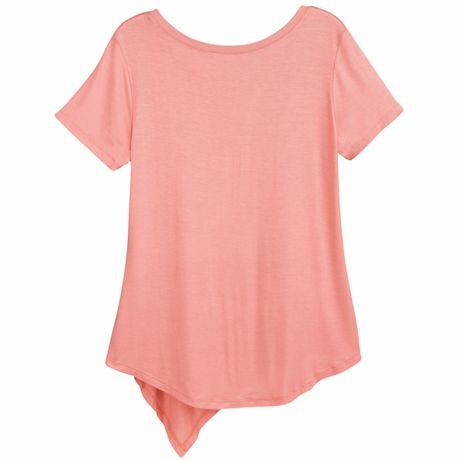 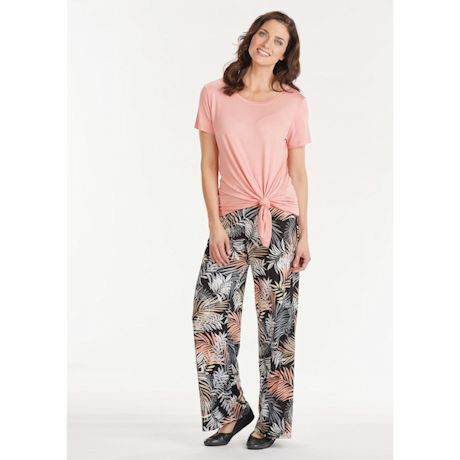 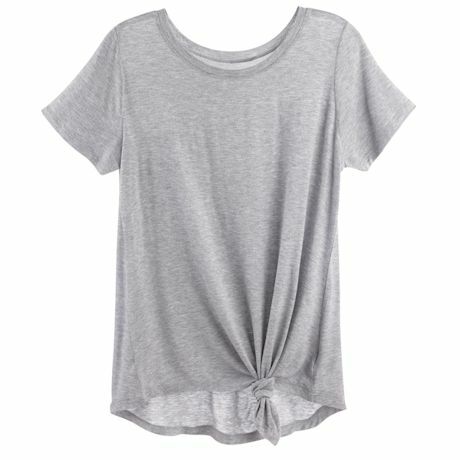 Designed with a flattering neckline, short sleeves and super-soft fabric, this tee also has a pointed-hem bottom with just the right length for twisting and tying into a fun layer. 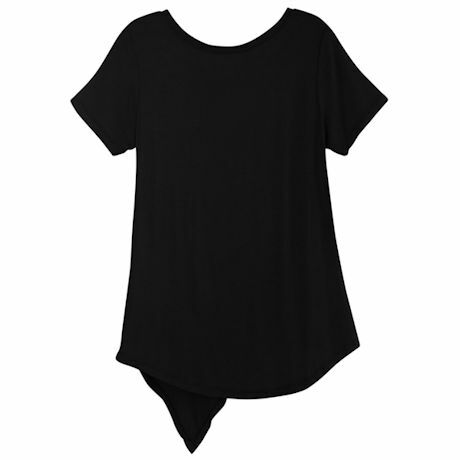 Machine wash. 95% rayon/5% spandex. USA. 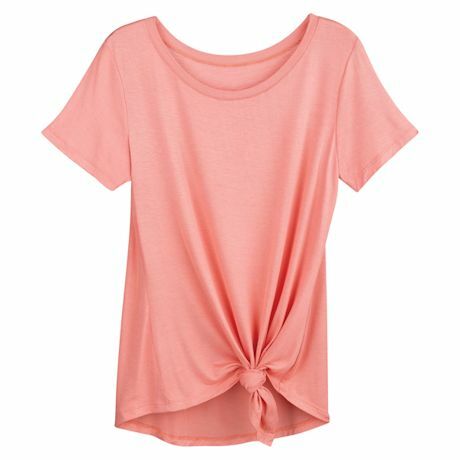 S(6-8), M(10-12), L(14-16), XL(18); 33"L. Choose Coral, Heather Gray, Black or Navy.